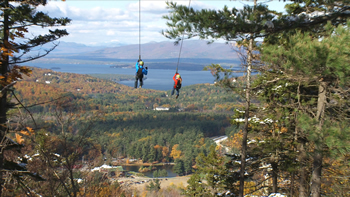 "“The Gunstock Mountain Adventure Park offers a ZipTour® attraction, featuring dual cables over five spans covering nearly 1.6 miles. 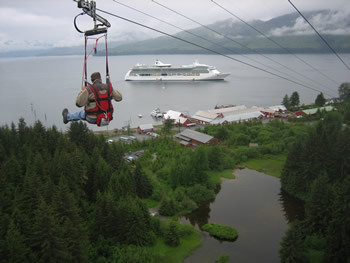 The entire guest experience is about 2 hours, and includes a scenic chairlift ride. For many of our guests, the ZipTour is the most exhilarating ride they’ve ever experienced. Before they try the ZipTour®, people constantly tell me “I’ve been zip lining before” and I smile and say “not like this you haven’t!” Our tours are selling out nearly every day, and many people have returned to experience the thrill multiple times. I personally can’t get enough of it." Length: 5,400 feet long – over one mile long!